Now there is finally an affordable piston vise with all the best features. 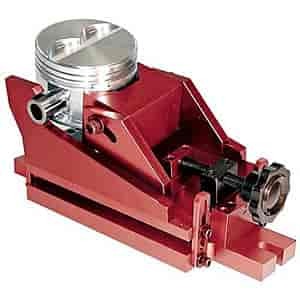 This Proform Heavy Duty Multi Angle Piston Vise includes a quick set-up design and is made from durable billet aluminum that is corrosion-resistant with a high quality anodized finish. The universal fit means it's and easy to use and will fit up to 4.5" diameter pistons.